The Champions League started in September and has most football fans locked to the screen every other week. The most popular league in European football is in the middle of the group stage and there are still some exciting games to look forward to. Every year champion teams from most European countries compete with each other to see who is the champion of them all. We figured you are busy with parenting and work to help you out with scheduling the most important matches that are coming in the next round. All games start at 20:45 CET. So make sure your kids are in bed or even better that your spouse takes care of parent duty that night so you can go out to your favorite bar and watch the games with your friends. You’ll definitely need multiple screens to stay updated on all the games. The next round will be played on November 1 and 2. 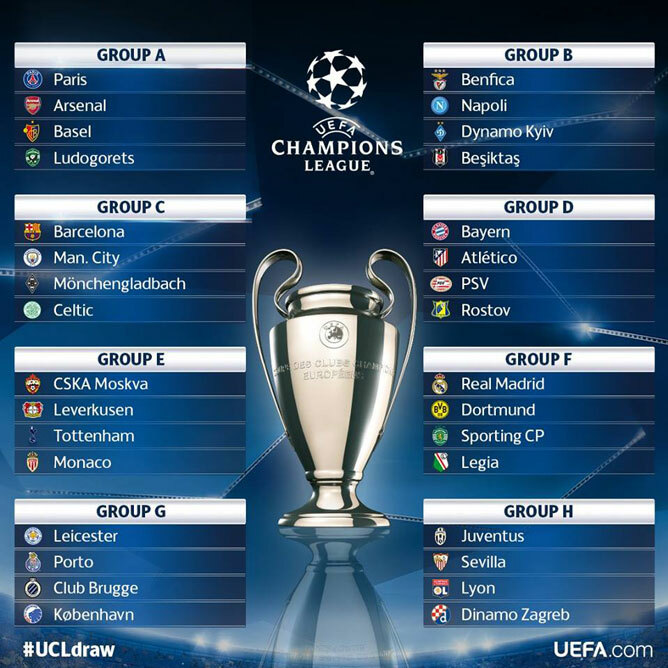 After which the teams will face the other teams in the group on November 22 and 23. Leading towards the final draw on December 12 where the last 16 teams will face each other again in Februari 2017. For the full program check www.uefa.com.